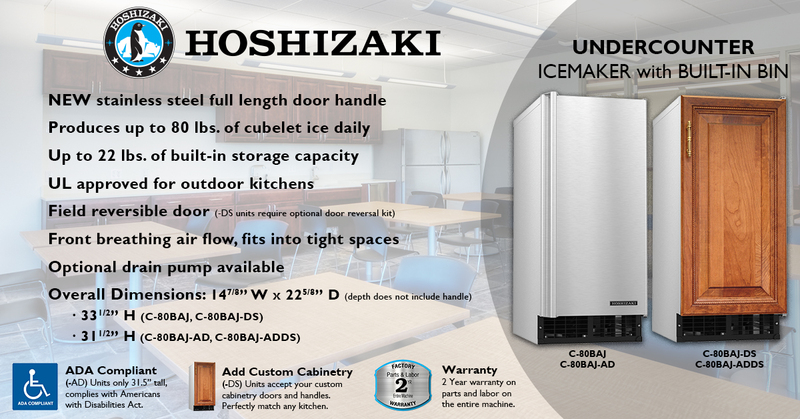 HOSHIZAKI Transitions the C-101BAH to the C-80BAJ Series Undercounter Icemaker - Hoshizaki America, Inc.
Peachtree City, GA (February 22, 2018) – Hoshizaki America, Inc. has transitioned their popular C-101BAH series undercounter icemaker to the C-80BAJ series. The same slender dimensions and sleek stainless steel construction are enhanced by the stylish addition of a full length stainless steel door handle. The C-80BAJ and C-80BAJ-AD models include the new tubular handle and the door remains field reversible. 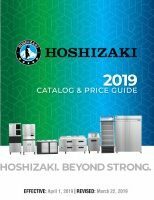 The C-80BAJ-DS and C-80BAJ-ADDS models allow customers to add their own custom cabinetry to the icemaker and the door is field reversible with an optional kit. 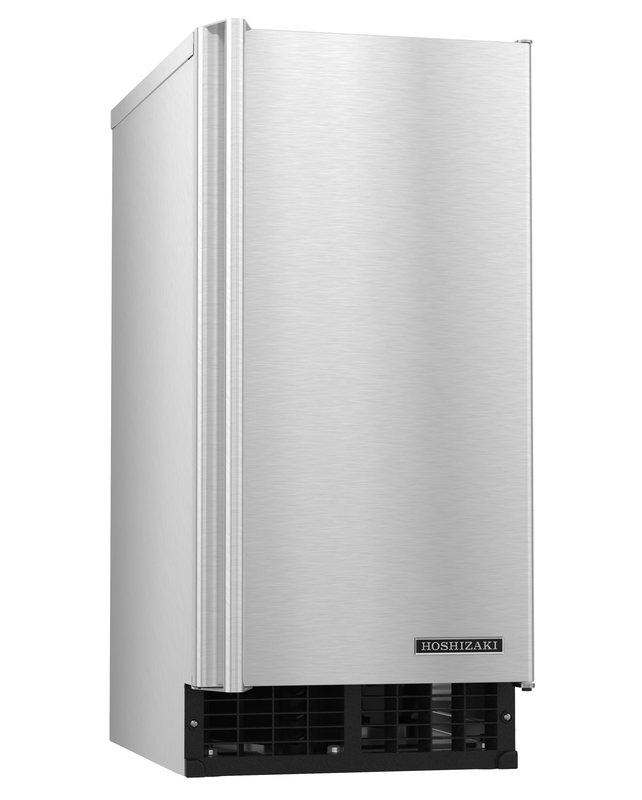 The 14-7/8” wide and 22-5/8” deep icemaker cabinet still comes in two different heights; 33-1/2” tall and 31-1/2” tall (-AD, -ADDS models) which complies with the Americans with Disabilities Act (ADA) guidelines. 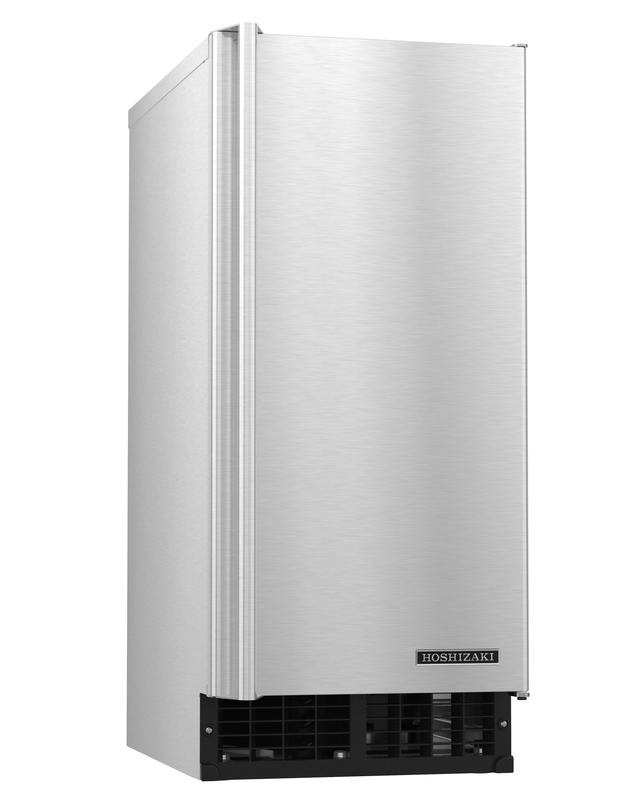 The C-80BAJ series icemaker produces up to 80 lbs. 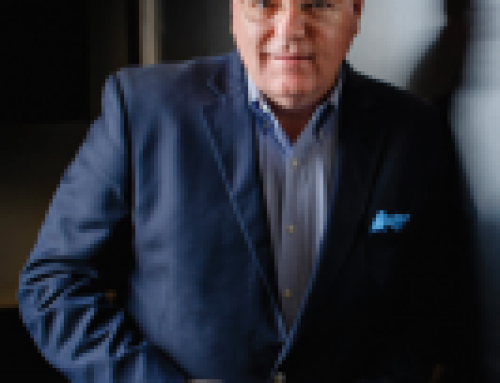 of cubelet, which is a nugget-style ice, daily and can store up to 22 lbs. within the built-in bin. 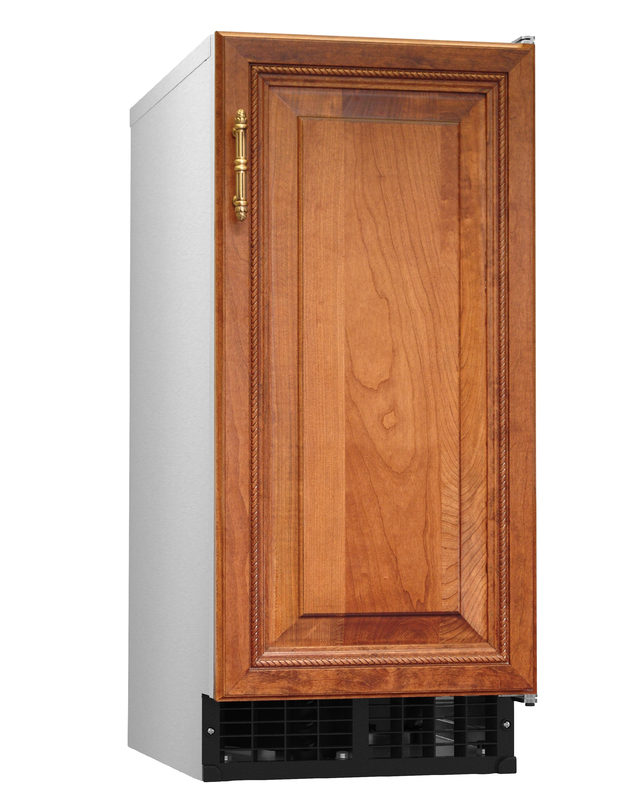 These icemakers feature a front breathing airflow design that is perfect for tight cabinet spaces. The shallow depth of the unit allows installer room to plug-in electrical, connect plumbing, and if required, install an optional drain pump. All C-80BAJ series icemakers are UL approved for outdoor use, so in addition to kitchens, office breakroom, and hotel suites, they are perfect for pool bars and outdoor kitchens. 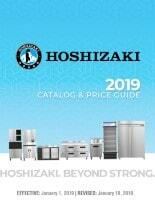 A two year warranty covers parts and labor on the entire machine.